Zykin, V.S., Zykina, V.S., Orlova, L.A., Savel’eva, P.Yu., Sizikova, A.O., Smolyaninova, L.G., 2011. Upper Cenozoic of the south of Western Siberia: current status of stratigraphy and paleogeography. News of Palaeontology and stratigraphy, 16–17, p. 137–152. Appendix to the Geology and Geophysics Journal, V. 52 (in Russian). Zykina, V.S., Zykin, V.S., 2008. The loess-soil sequence of the Brunhes chron from West Siberia and its correlation to global and climate records. Quaternary International 179, 171–175. Zykina, V.S., Zykin, V.S., 2003. Pleistocene warming stages in Southern West Siberia: soils, environment, and climate evolution. Quaternary International 106-107, 233–243. Dobretsov, N. L., Zykin, V. S., Zykina, V. S., 2003. Structure of the Pleistocene Loess–Soil Sequence of Western Siberia and Its Correlation with the Baikalian and Global Records of Climatic Changes. Doklady Earth Sciences, Vol. 391A, No. 6, pp. 921–924. Translated from Doklady Akademii Nauk, Vol. 391, No. 6, 2003, pp. 821–824. Volkov, I.A., Zykina, V.S., 1991. Cyclicity of subaerial deposits of Western Siberia and climatic history in the Pleistocene. In: Zakharov, V.A. (Ed. ), Climatic Evolution, Biota and Habitation Environments of Man in the Late Cenozoic of Siberia. Institute of Geology, Geophysics and Mineralogy, Siberian Branch, Russian Academy of Sciences, Novosibirsk, pp. 40–51 (in Russian). Zykin, V. S., Zazhigin, V. S., Kazanskyi, A.Yu., 1991. 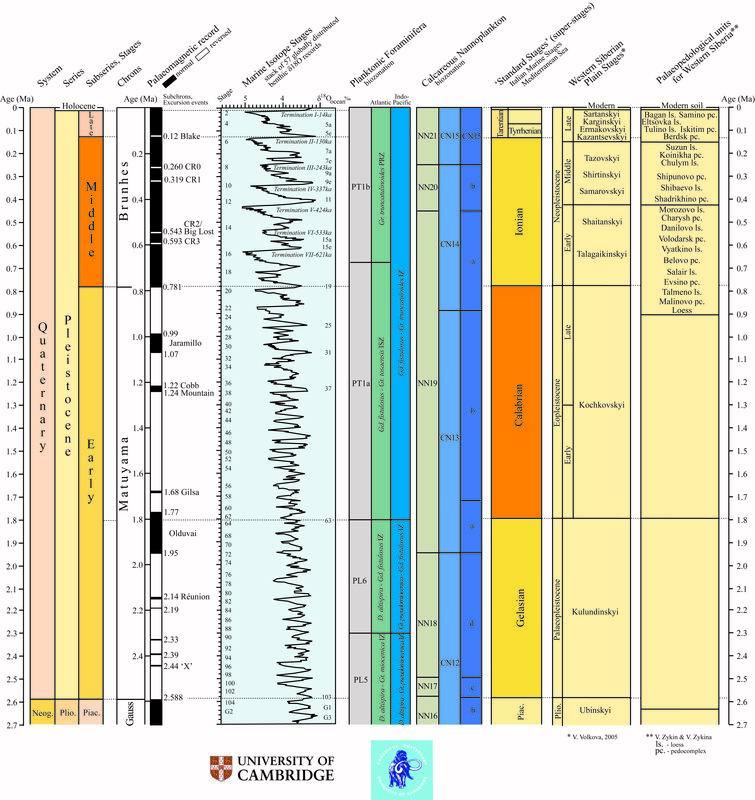 Late Neogene of the south of the West Siberian Plain: stratigraphy, palaeomagnetism, and main climatic events. Geology and Geophisics, N1, 78–86 (in Russian).